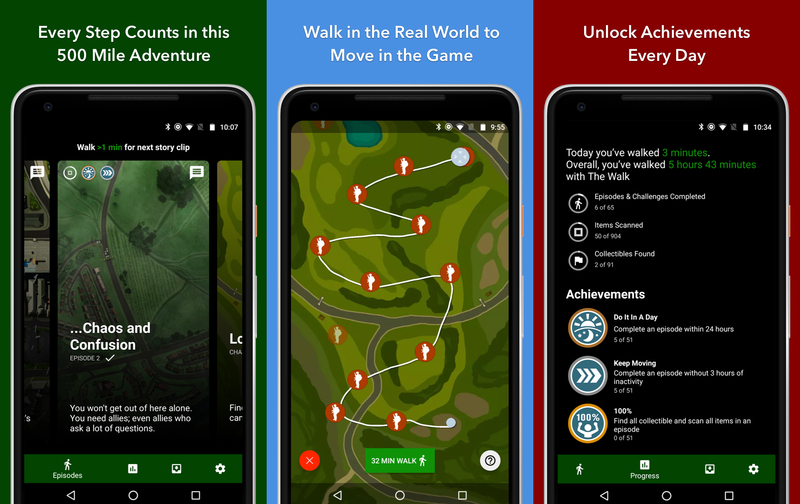 Modern technology can make us more sedentary and unhealthy, but developer Six to Start has released a few games that aim to do the opposite. Games like Zombies, Run! can make exercise kind of fun, but its latest release is a bit more casual. The new game, developed in cooperation with the UK's NHS and the Department of Health, is called The Walk. To play, just start walking. The Walk plugs into Google Fit to track your steps. In the game, a bomb has detonated in Inverness station, and someone hands you a mysterious package that could save the world. To keep the story going and keep ahead of your pursuers, you need to keep moving. The more you walk in the game, the more of the story is revealed. The main story takes place over 500 miles of walking, but you can also choose to take detours to pick up secret items. Each episode is structured like a series of checkpoints, each one unlocking a bit more of the audio story. There are 65 episodes and more than 800 minutes of audio to unlock. You can save the story to listen to later, or have it play as you walk. The first four episodes are free, but you'll have to pay $4.99 via an in-app purchase to unlock the whole thing.